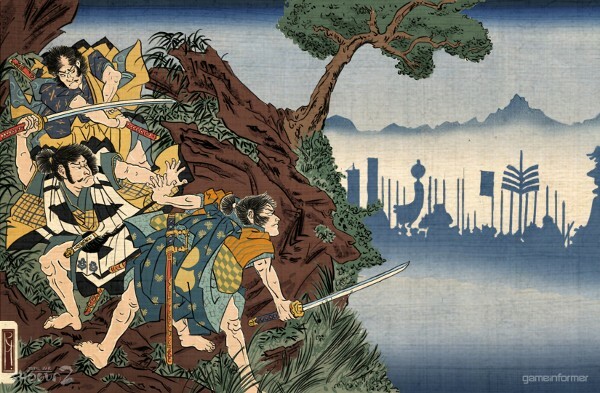 The official campaign setting of Ultimate Shinobi is known as The rise and fall of the Shinobi Empire. As a campaign setting it provides all the basic information from history to current events surrounding the main plots and will allow you to fully immerse yourself in the rping experience. While heavily inspired by Naruto and the Shinobi world in general the Ultimate Conflict differs from the original plot both in history, breadth and nature. It derives its inspiration from feudal Japan, its ancient structure and bloody conflicts. We hope this proves an invaluable resource to all members and gives them a very good idea of the historical and political significance of their actions and helps them to better shape their characters. The rise and fall of the Shinobi Empire takes place in Shinobi Nations and shares almost identical geography with as its cannon counter part. Where it differs is that far from disparate and competing nations all the Shinobi Nations have been unified into empire (see History Thread for more details) and the countries themselves are self autonomous regions within it. In addition to this there is also an Imperial City which forms the centre imperial administration and the seat of ultimate power in the empire. For more information please look at the Ultimate Conflict map or scan through the role play forums for individual descriptions of each and every part of the empire. In Ultimate Shinobi the conflicting nations, both greater and lesser, are technically unified into one empire. The full details of how this occurred can be found in the official history of the Shinobi Empire which details the development of the empire and involvement of the Shinobi in its present form. Suffice to say that each and every village and nation ultimately owes its fealty to the imperial regime though this does not make for contented and peaceful land. Most nations, particular the great ones have Shinobi Villages identical too those in Naruto’s cannon. In Naruto canon shinobi villages are the center of the corresponding nation’s military and their leaders, known as Kages, serve as the commander of the nation’s army and its Shinobi forces. Each Shinobi nation is ruled by a Daimyo but full military power has been designated to the Shinobi villages who dominate a nations military and foreign policy as a result. Furthermore each village itself is self sufficient like a military city state and run in the village’s best interest. In Ultimate Shinobi the villages occupy a similar but differing role. Rather then be beholden to their nation they are in fact fully autonomous military organisations to whom the emperor has awarded full dominion of the respect areas. Bound by oaths of imperial fealty, they are charged with their protection of the empire and the collection of imperial taxes they are not beholden to any Daimyo and operate independently. They are not restricted from internal conflicts unless expressly commanded allowing for considerable conflict and infighting. This has led to a situation much like in cannon where the villages tend to be hostile to one another, contracting and expending their influence at the expense of others and frequently have fallen into all out conflict with one another especially in one particular regard, the Shogunate. Iwa – A traditional super power of the Shinobi World, Iwa is power house both in terms of influence and martial prowess. Its shinobi are legendary for the toughness and endurance in the face of turmoil and have endured countless wars with stoic resolve. Its warriors famed for heroic battles and impossible victories are daily occurrences. The village and its shinobi are rightly feared and respected by its enemies. It has now gathered enough strength to lay claim to title of Shogun and will push its claims to supremacy at every opportunity. For more details see the Earth Country Thread. Kusa – A new and upcoming power. Famed for its close ties to nature and the fertility of its nation Kusa has long been overlooked for lack of central administration and drive to expand. It is a place where Nin live in harmony with nature and where people take each day as it comes. It is also a land of unbelievable wealth and with wealth comes power. Kusa’s power in the region has reached its zenith and its leadership are keen to protect the gains made. Though they harbour no hatred for Iwa but to allow another nation to seize the shogunate might diminish what Kusa has become and for that reason alone Kusa intends to claim the prize for its own. For more details see the Grass Country Thread. Only one authority other the emperors can officially demand the obedience of the ambitious and independent Shinobi villages, that of the Dai Kage aka the Great Kage better known as the Shogun. Though the office of the Shogun is a comparatively recent development and was prompted by a great need for unity (see History Thread for details) it has become the single most prized and importance position after the emperor himself. 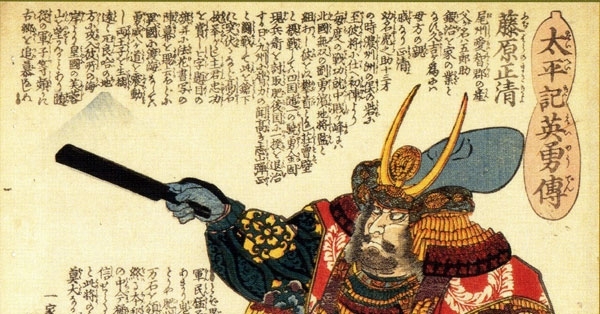 The Shogun is the official war leader of the emperor’s armies and more importantly has ultimate military authority not only over his own village but others, with the right requisition troops of all villages and order them to battle. The position of shogun is not inherited but highly contested and the ultimate goal of any Shinobi village is to have its Kage named shogun. It is the ultimate sign of villages dominance and the expression of it martial superiority above others. By ancient tradition the Shogun has always been selected from the one of the Kages of the 5 great villages. Upon the death of the incumbent Shogun each would put forth the claim and the Shinobi empire would inevitably fall upon itself in brutal internal war as each, with the aid of the lesser nations they could convince, would fight each other for the title. These conflicts became known as the Shinobi wars and were bloody savage ordeals. The village the prove itself the victor would approach the imperial city, its Kage bend its knee in fealty to the throne and be awarded this most prestigious title. In the Rise and Fall of the Shinobi Nations, there is no current shogun and has not been one for almost a decade. A small yet terrifying organisation, the Shantakai arose to destabilise the shogunate and was only defeated as a result of horrendous lost of life including the death of the Shogun himself (see History Thread for details). To date no village has been powerful to claim the shogunate for its own though finally it appears this is about to change. Two nations, glorious Iwa and in break with tradition, wealthy Kusa, have now amassed enough power to push forward their own bids to the Shogunate. It remains unknown if others, hidden in the shadows have different plans but it is clear that there is group not keen on either nation succeeding in such an endeavour or once more unifying the Shinobi nations. The Emperor is the supreme ruler of the Shinobi Empire and claims the fealty of all its various factions and villages. The imperial line has remained unbroken in the 600 years since the empires foundation and among the civilians at least the emperor is considered almost akin to a god. He lives in the secluded glory of the Imperial palace, protected from the world by the vast and supposedly impenetrable defences of the Imperial city. Despite having absolute power the emperor rarely wields it preferring to enjoy the unfathomable luxury of the imperial palace and too rapped up in religious duties to pay heed the world at large. On the whole the emperor tends to leave the villages and the shogun to their own devices only expecting the small imperial tax by paid over and that they fight to protect the empire from internal and external threats. New mutterings abound however that some are discontented with the imperial regime. They say that emperor does not care about the suffering of his subjects and no long understands the people. Whether or not this is true the villages have been careful to quell such talk and ensure it does not reach the imperial city the conversation persists. Though still little more then talk any direct threat on the emperor while lead to severe and terrifying repercussions. While the emperor is happy to leave the safety of his nation to the shinobi villages his own personal safety is secured by a vast and fanatically loyal army of chakra amour clad shinobi which have in the passed levelled rebellious nations at his direction. To further ensure the emperors personal safety shinobi are forbidden the city except with special consent and every entrance is guarded and warded against all but the heaviest assault. The plot on Ultimate conflict is separated into a number of main and sub conflicts that will affect the course of the site and impact on your character/s. All these conflicts are central to this missions your will perform and your villages goals and objectives. The 5th Shinobi War: The main conflict of the ultimate Conflict is a 3 way battle for supremacy and the Shogunate between the forces of Iwa, Kusa and Shantakai in an attempt to become the next Shogun. It should be noted that while the Shantakai, who wanted to see collapse of the empire, are not overly interested in making one of their members the shogun, they are set against anyone else claiming the title and potentially disrupting their plans. The Fall of the Shinobi Empire: The Shantakai wish to bring about the empires end and plan to do this by eliminating the Emperor and his heirs. This is easier said then done since emperor does not leave his palace and imperial city is fortress against which many others of power have been shattered. Nothing short of a major attack will do and to do this they will need inhuman levels of power. They intend to harness the Bijuu for own devices and use this power to attempt a successful assault on the seemingly impervious imperial city. The nations are not yet aware of the return of the Shantakai or their plans but it is in neither parties interest to allow the empire to fall or let the Bijuu fall into unknown hands.